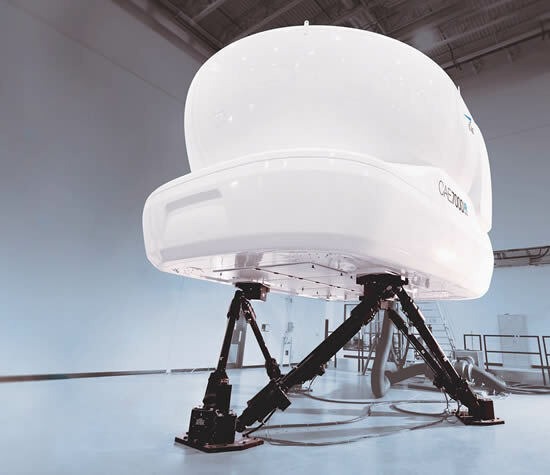 BAA Training, one of the largest aviation training centres in Northern Europe, has announced the acquisition of three new full flight simulators from CAE. Under the agreement, BAA Training is procuring two Airbus A320 CAE 7000XR Series full-flight simulators (FFSs) and one Boeing 737NG CAE 7000XR Series FFS. The full-flight simulators will be equipped with the latest innovative CAE Tropos 6000XR visual system, offering unprecedented realism. The first Airbus A320 simulator will be deployed in Vilnius, Lithuania in July 2018, the Boeing B737 NG will start operating in October 2018. Yet another Airbus A320 full-flight simulator will be housed in a new training centre facility of BAA Training in Asia, which is due to start its operations by the end of 2018. “To cater to the demand for aviation training of local regional market and CIS countries, we are further expanding our capacities at the headquarters. "By the acquisition of new training equipment we are making strategic moves to offer our clients from Lithuania and the neighbouring countries a favourable training location and the infrastructure of the highest standards,” comments Egle Vaitkeviciute, CEO of BAA Training. According to Ms. Vaitkeviciute, the acquisition of the simulators comes at a time of a significant growth of regional airlines, thus the Academy will be able to put the comprehensive training provided to their pilots with the latest technology on fast track.